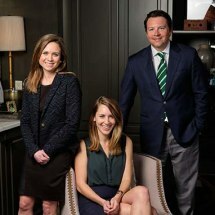 Ryan L. Beasley – formerly a criminal lawyer with Price, Ashmore & Beasley P.A. – dedicates his practice to criminal defense and civil litigation with an emphasis on the trial phase of the legal process. His trial experience, along with a personal commitment to his clients, combines to offer superior representation in a supportive environment. A native of South Carolina, Ryan graduated from Wofford College and received a juris doctorate from the University of South Carolina. He was an Assistant Solicitor/Law Clerk for 13th Circuit Solicitor's Office and former Law Clerk to the Honorable John C. Few, Chief Judge of the South Carolina Court of Appeals. He is a member of the South Carolina Association of Criminal Defense Lawyers, the Greenville Association of Criminal Defense Lawyers and the South Carolina Association of Justice, and is a Life Member of the National Association of Criminal Defense Lawyers. Ryan is the former president of the Greenville Association of Criminal Defense Lawyers. Ryan has received the highest available peer review rating (AV) through Martindale-Hubbell. This means he has been rated Preeminent for Legal Ability and for Ethical Standards by his peers. As a private defense and litigation attorney, Ryan has tried a wide range of state and federal criminal cases in many jurisdictions in South Carolina, including Greenville, Pickens, Anderson, Spartanburg, Laurens, Greenwood and Oconee Counties. Whether he's defending an individual against a corporation or against local investigative agencies, his philosophy is based on the strong belief that clients should be fully informed and guided through the criminal justice system. While every situation is different, Ryan does his best to minimize the effects and ramifications of a criminal case to allow his clients to move on with their professional and personal lives. As a trial lawyer who routinely represents individuals concerned with expediting their cases rather than entering a courtroom, Ryan's ability to analyze and evaluate cases, navigate complex litigation and obtain favorable outcomes is well known.